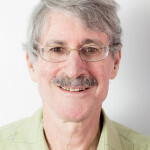 Prior to arriving to the IRI at the end of June 2000, Anthony Barnston was an operational seasonal climate forecaster and developmental researcher in empirical prediction methodology at the Climate Prediction Center of NOAA for 17 years. He has authored atlases, reports and journal papers on weather and climate, many of which were about statistical diagnosis of large-scale circulation patterns and on empirical climate prediction. Barnston ensures the production and scheduled issuance of a range of IRI forecast products, including an ENSO Outlook and monthly forecasts of near-global seasonal average sea surface temperatures, precipitation and surface air temperature. He coordinates implementation of improved methods and tools to enhance the quality and content of the forecasts, and increased automation in the forecast production process. He seeks to engage the user community on forecast interpretation and use, and provides training and capacity building on aspects of climate forecasting for visiting scientists, students, and forecasters from national meteorological centers abroad.